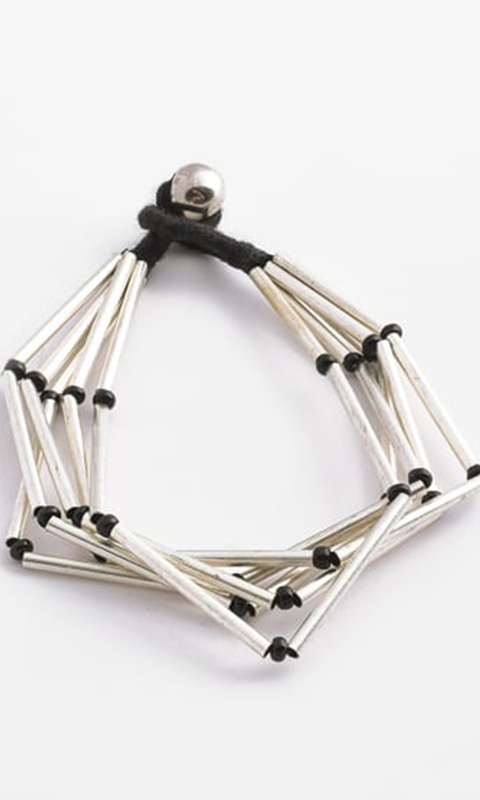 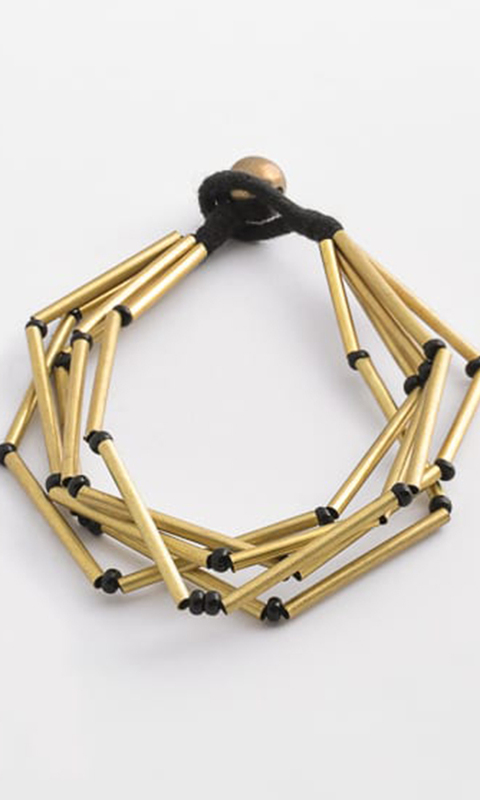 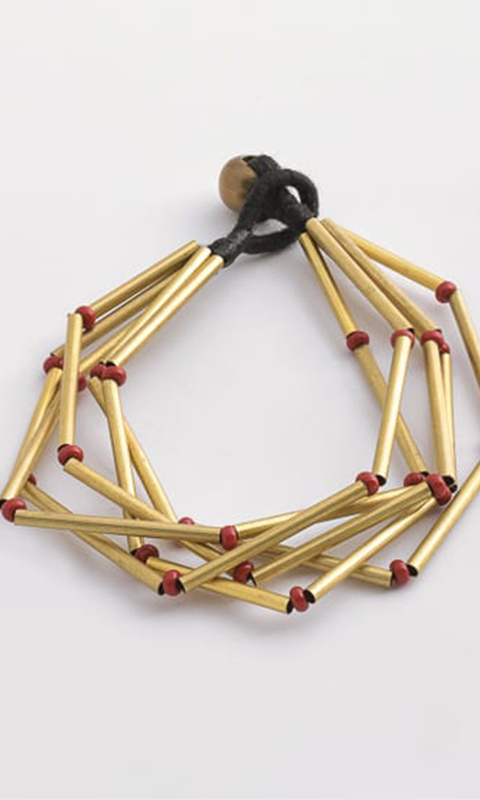 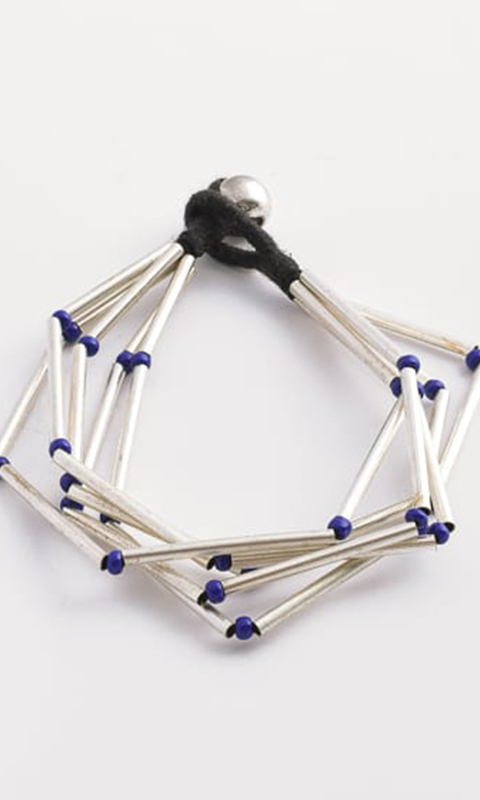 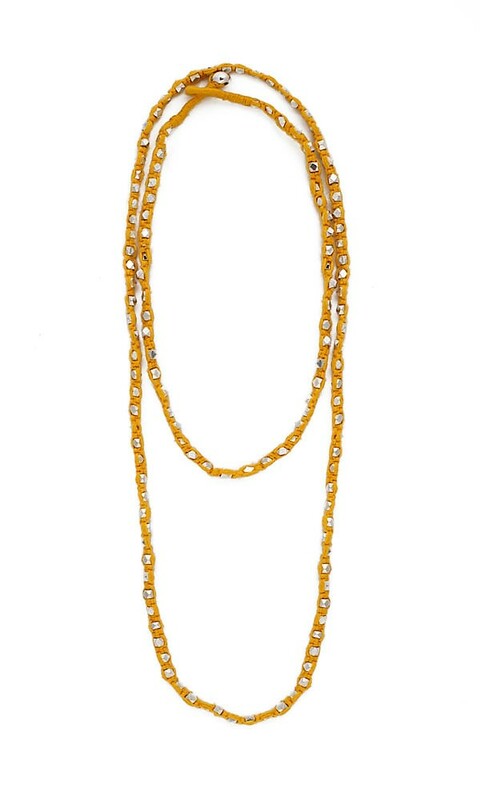 Dodu Bracelet – A unique combination of brass beads creates a beautiful geometrical pattern. 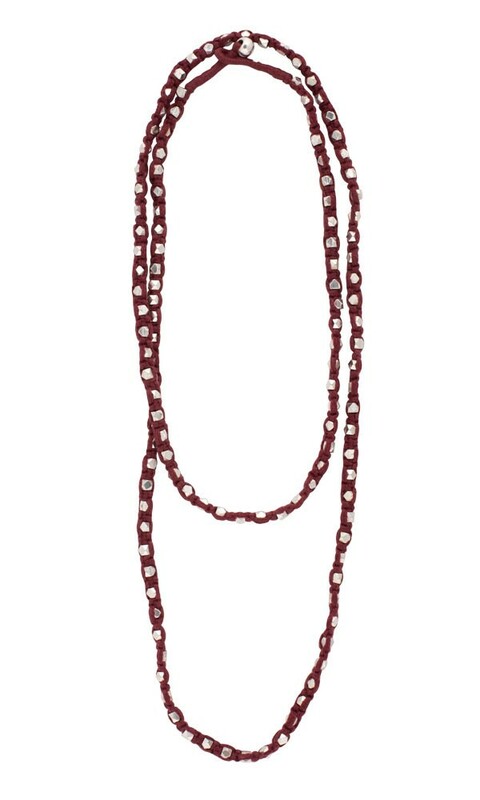 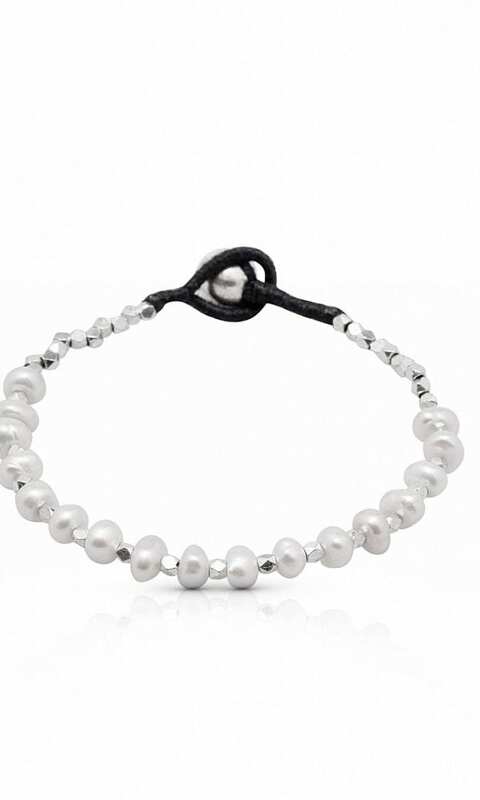 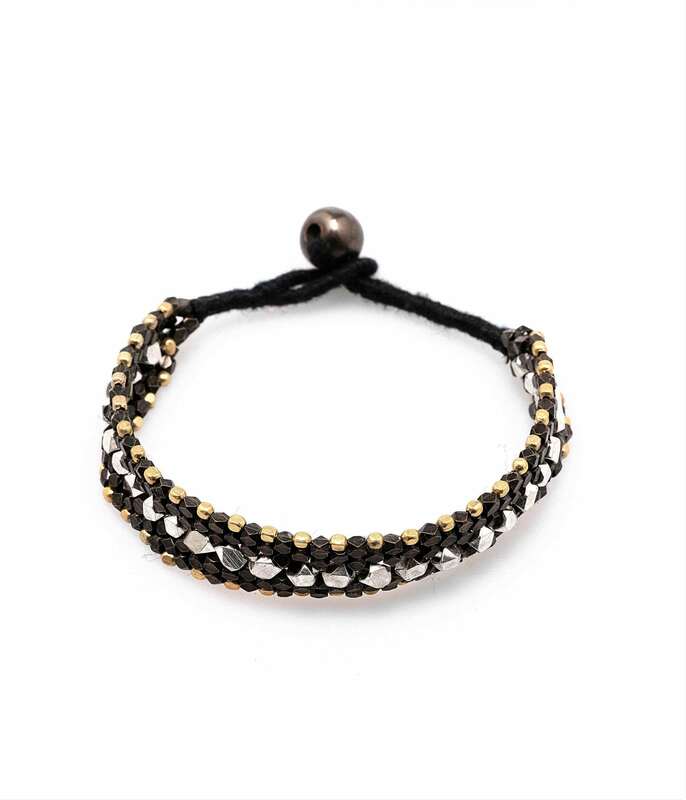 This classic bracelet is the perfect addition to every outfit. 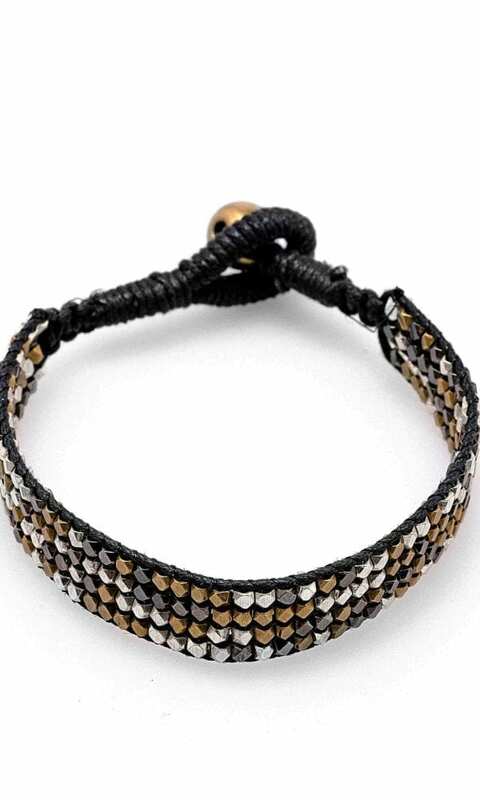 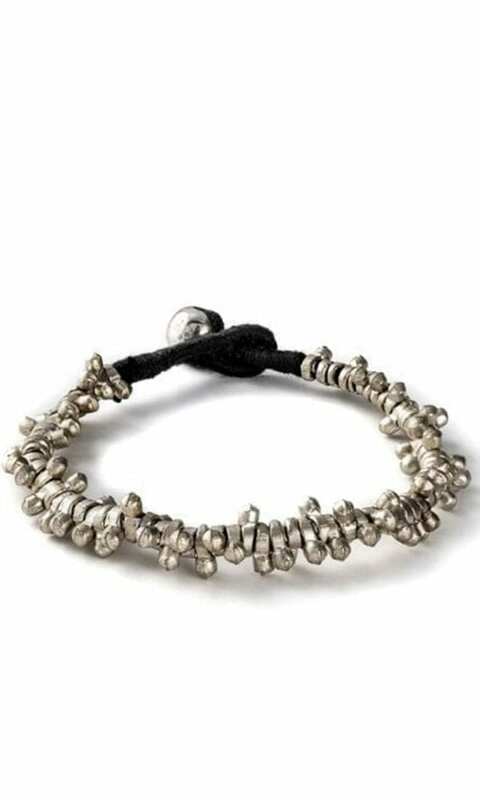 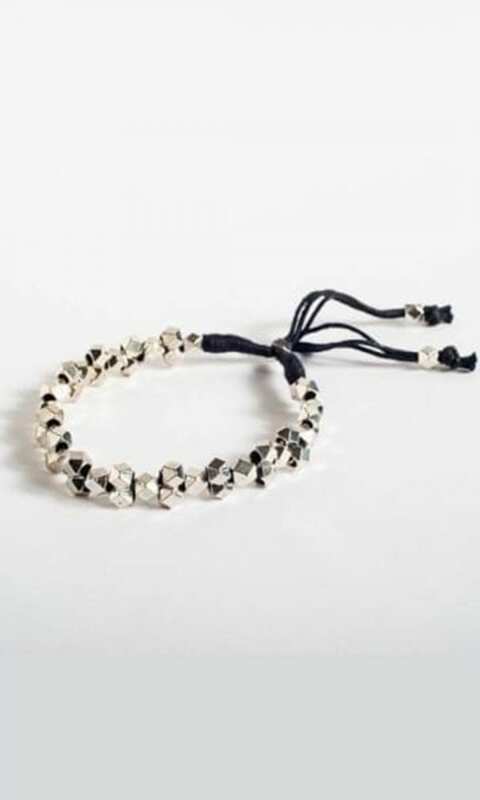 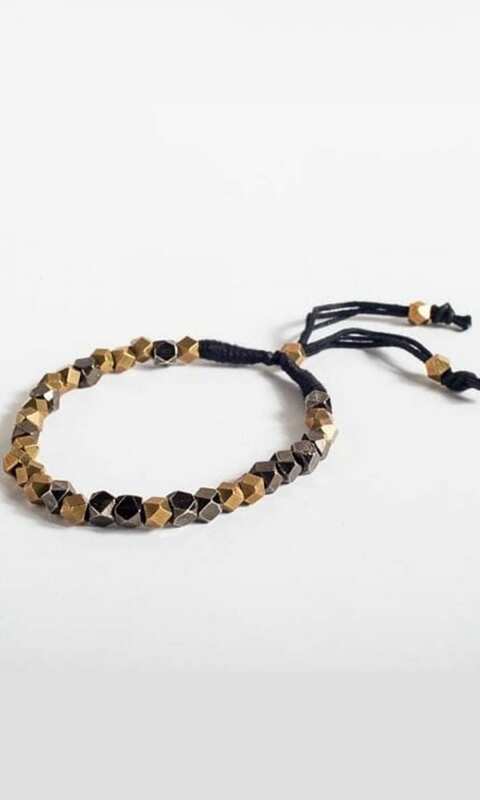 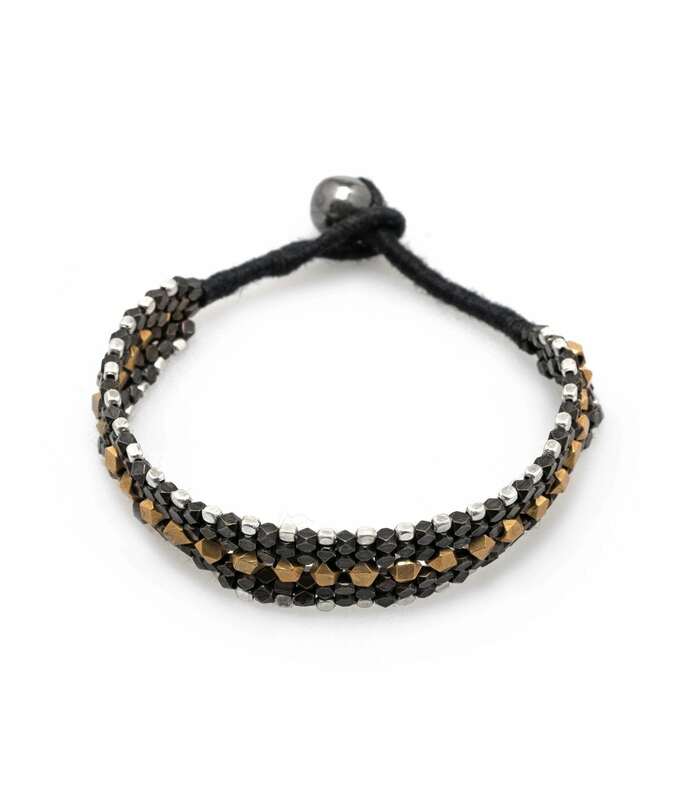 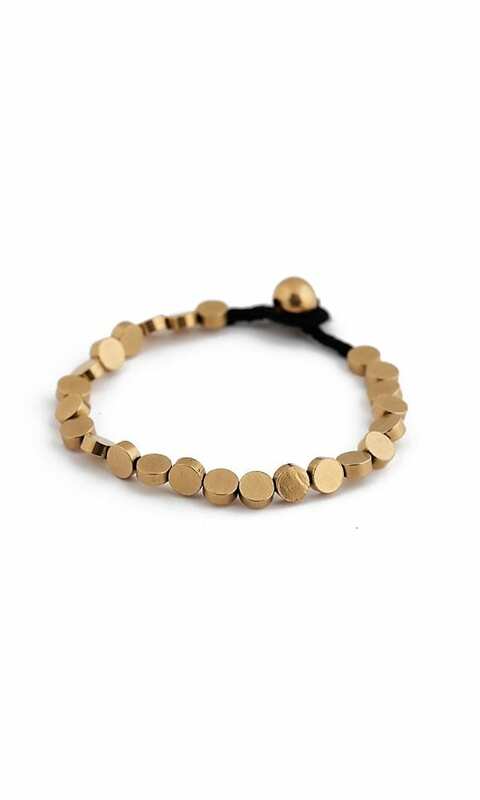 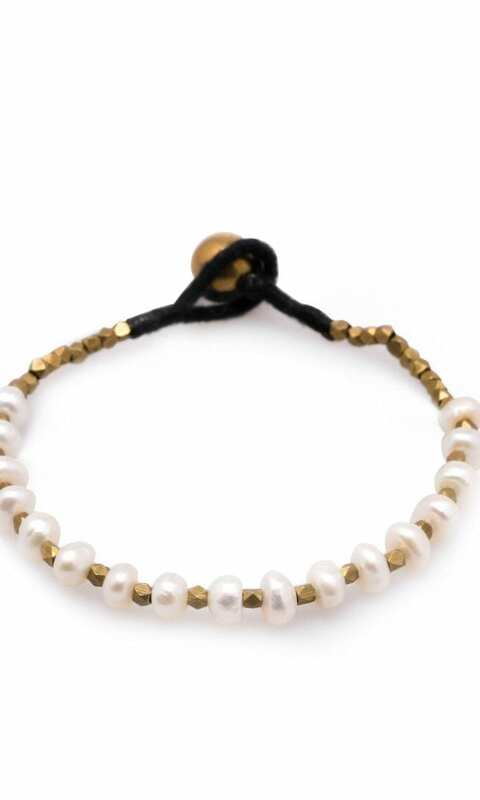 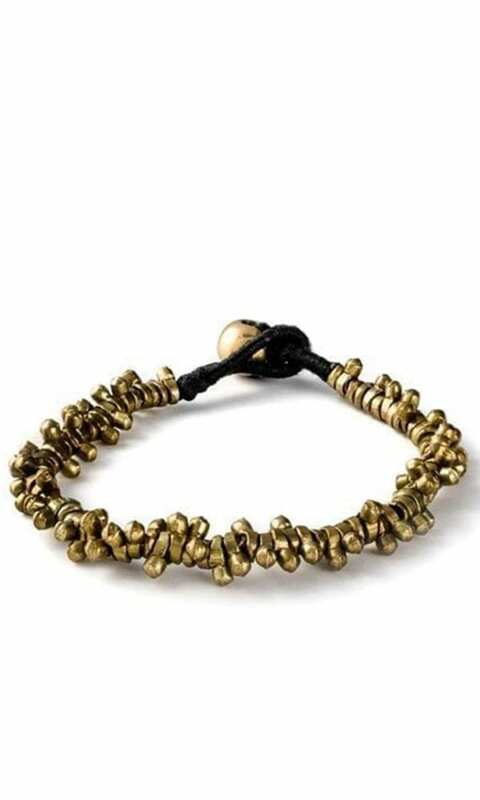 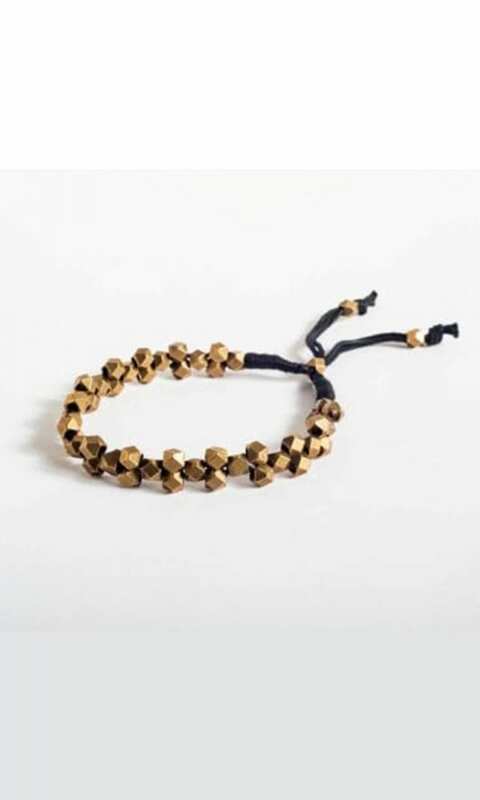 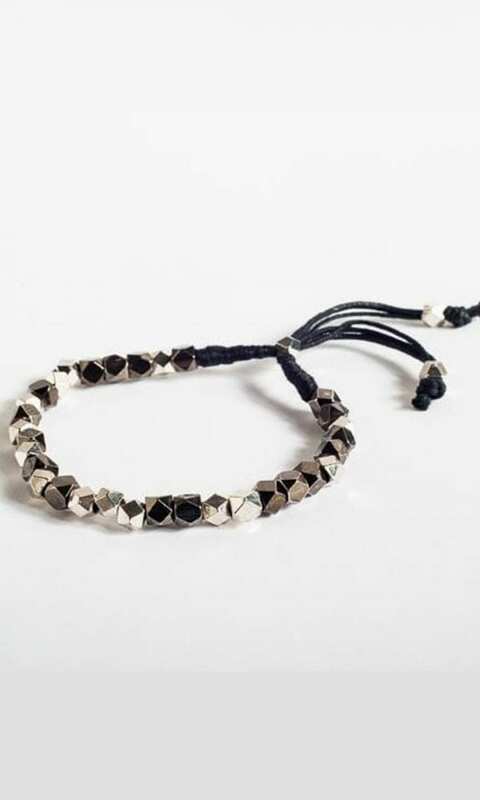 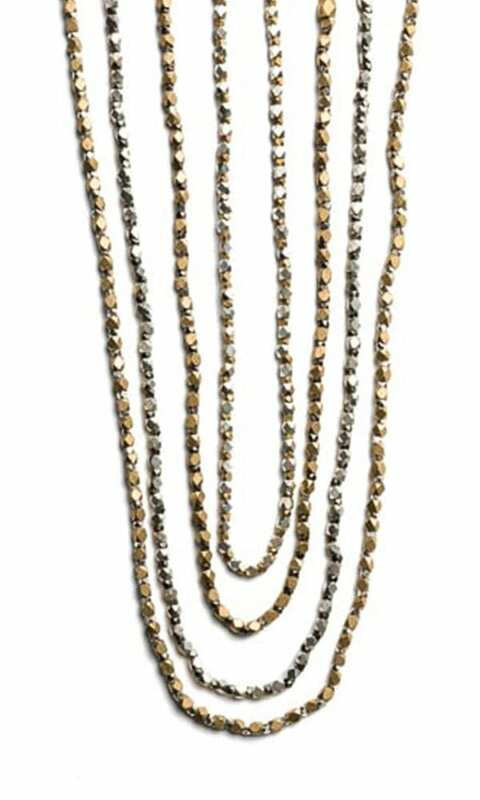 The Dodu Bracelet is available in two color combinations: black and silver plated with gold-tone brass beads, or silver and black plated with gold-tone.